The future of mobility will be at the centre of the 67thIAA Commercial Vehicle show, which opens its doors in Hannover, Germany, next week. With a theme of ‘Driving Tomorrow’, the European show will have a huge focus on alternative drivetrains, automated driving, connectivity and digitalisation. Hosted by the German Association of the Automotive Industry (VDA), the IAA is the the most important show in the CV calendar, alongside the CV Show here in the UK. Vans will, as ever, be a big focus, with a number of launches. The show will see the global debut of the new Opel Combo van – the first LCV to emerge from Vauxhall-Opel’s takeover by PSA. 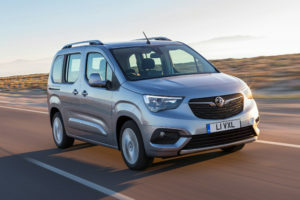 It will be sold in the UK as both a Vauxhall van and passenger vehicle, along with the Peugeot Partner and Citroen Berlingo vans that were developed alongside it. 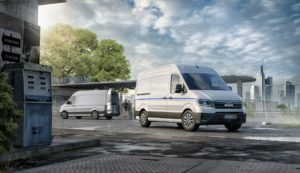 LDV will have a new range of electric vans on display, while the new Mercedes Sprinter is also set to be a big draw. Test drives to experience e-mobility vehicles will be offered within the grounds of the show. On the heavier side, the IAA will see MAN’s new e-TGE van and e-TGM range of electric trucks, while Volvo Trucks will also be exhibiting its new fully electric range. In addition, Ford is expected to reveal its new long-haul truck. Technology and industrial services provider, Voith, will also be debuting its EV technology, showing off a bus and truck chassis with full battery capability, which it aims to put into production next year. The majority of Europe’s major trailer suppliers are set to have a significant presence at the show. As well as manufacturers and key suppliers, aftermarket companies will form a significant part of the show, many of which exhibiting innovations that will drive the sector’s future. From keyless technology and cloud-based data management, to advanced safety systems using predictive mapping data to help avoid accidents and improve efficiency, there’s a wealth of developments that are set to see the sector cement its position as an automotive industry testbed for future technologies. 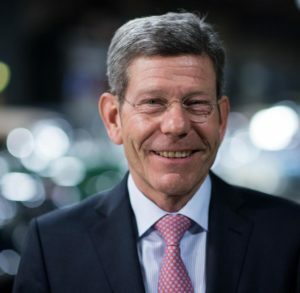 “The slogan ‘Driving Tomorrow’ represents both a claim and a promise,” said Bernhard Mattes, President of the German Association of the Automotive Industry. “Road freight traffic will expand all over the world in the coming years,” he added. “Furthermore, increasing urbanisation is focusing more social and political discussion on commercial vehicles. With ‘Driving Tomorrow’ we are underscoring the pivotal role played by commercial vehicles in the future of mobility, logistics and transport. This industry will [be] actively shaping the innovation process. In addition to digital technology and electromobility, the IAA demonstrates that the modern, efficient, low-emission diesel engine also has a future, especially for long-distance transportation and in heavy-duty trucks. “Commercial vehicles contribute to achieving the climate targets. CO2 emissionsper tonne-kilometer [for CVs] have been falling for many years now.And [when comparing] the different modes of transport shows that buses are undeniably the absolute CO2 champions,” added Mattes. As well as established players, the IAA will also have a focus on technology start-ups, which will form a major part of the show’s ‘New Mobility World’. In addition to stand space, the New Mobility World will feature a live discussion forum, where several sectors of the CV industry come together to discuss challenges, opportunities and legislative issues in a collaborative environment, as well as have the opportunity to meet the smaller companies developing new CV technology. The show opens its doors to trade and public on Thursday September 20, with further information and tickets available from www.iaa.de. Transport News Brief will be rounding up all the major news from the show, so keep an eye out for next week’s newsletter.